Belgium rode their luck on Monday to edge a spirited Japanese side 3-2 to reach the quarters. Sorry ladies, star Belgium defender Toby Alderweireld has revealed that his bae is none other than Jan Vertonghen, his central defensive partner for club Tottenham Hotspur and country. 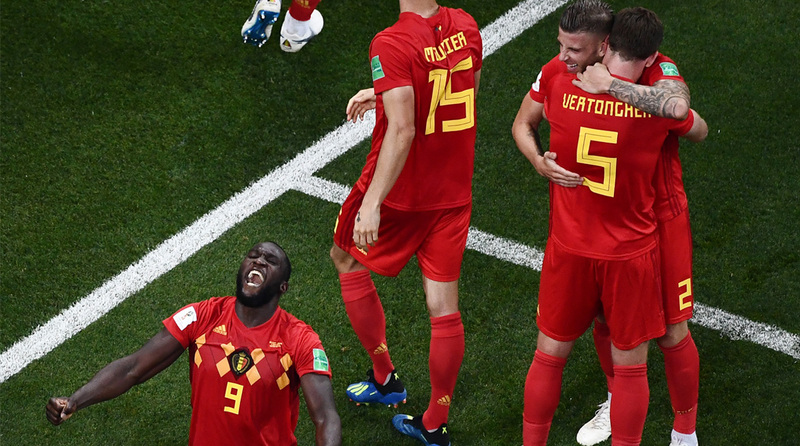 Japan gave the Belgian Red Devils an almighty scare on Monday night in their 2018 FIFA World Cup clash, taking a 2-0 lead in the second-half to leave the fancied European side on the brink of an embarrassing exit. However, goals from Vertonghen, Marouane Fellaini and Nacer Chadli ensured that Roberto Martinez’s men scripted the comeback of the tournament to set up a mouthwatering quarter-final clash with favourites Brazil. Chadli’s stoppage-time winner was something special, starrting in the Belgian box with Thibaut Courtois releasing Kevin De Bruyne and the midfielder in turn springing overlapping fullback Thomas Meunier. Romelu Lukaku saw the fizzing cross from the right-back was a little behind him so he let it run and substitute Chadli arrived to break Japanese hearts. It was during the celebration of the winner that Vertonghen and Alderweireld were pictured embracing each other while the rest of their teammates were a little distance away. Five-time champions Brazil lie in wait for the Belgian Red Devils in what promises to be the clash of the tournament. The Kazan Arena is the venue for Friday’s mammoth encounter (23.30 IST). While Martinez’s men have been impressive going forward, scoring a glut of goals, they have been porous in defence and that is definitely something they will have to address before taking on the Brazilians. Interestingly, the Samba Boys have not been prolific in attack yet boast one of the stingiest defences at this year’s World Cup.